If you are one of those spicy-food lovers who constantly strives to test your heat capacity �C or if you're just one of those people who really appreciates the nuances of piquant cuisines, this fun and feisty collection of recipes is for you. 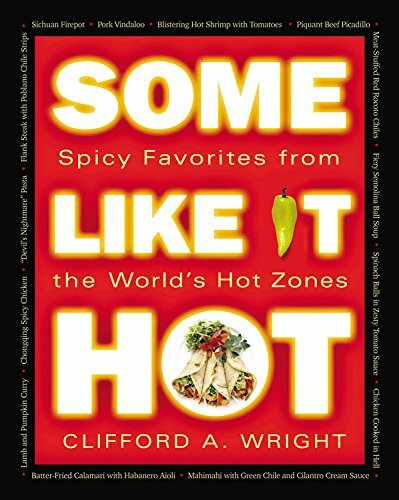 Author Cliff Wright has followed the equator in search of authentically spicy dishes, and he recreates them here with Meat-Stuffed Chiles from Peru, Chile Verde from New Mexico, "Tablecloth Stainer" from Oaxaca, Egusi Soup from Nigeria, "Sauce that Dances" from Algeria, Hot and Sour Shrimp Soup from Thailand, "Ants Climbing a Tree" from China, and about 300 more deliciously fiery foods. Each recipe has a heat index, so you know what's going to be subtly spicy and what's truly incendiary. If you are looking for that next "hot" thing, this is where you'll find it.